Length of Pull: 13 3/4"
The Super Grade is already on your wish list. Face it, the Super Grade is on most hunter's list. Its highly polished, deeply-blued steel and finely checkered, fancy grain walnut stock with shadowline cheekpiece define the timeless grace and elegance of the Model 70 Super Grade. 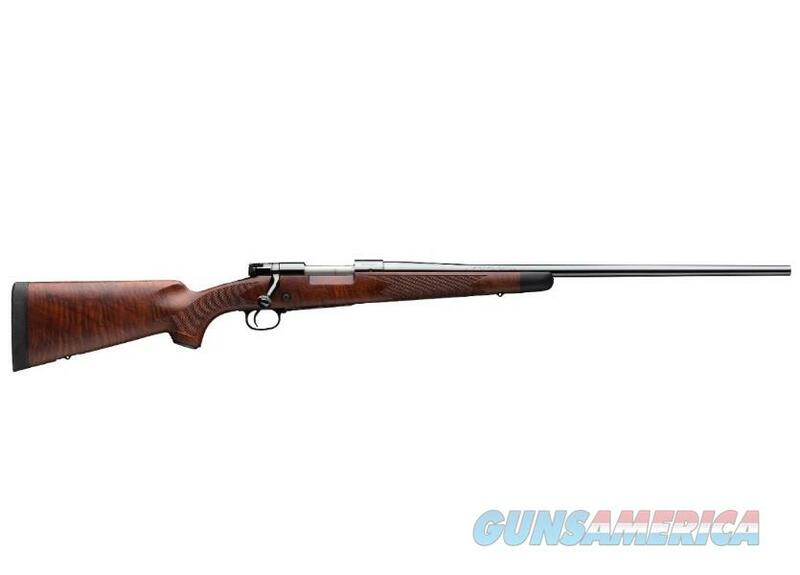 A one-piece steel bottom metal adds extra rigidity to the Super Grade’s stock and action for improved accuracy. The super grade’s shadowline cheekpiece is beautifully functional, placing your eye in perfect alignment with the scope.